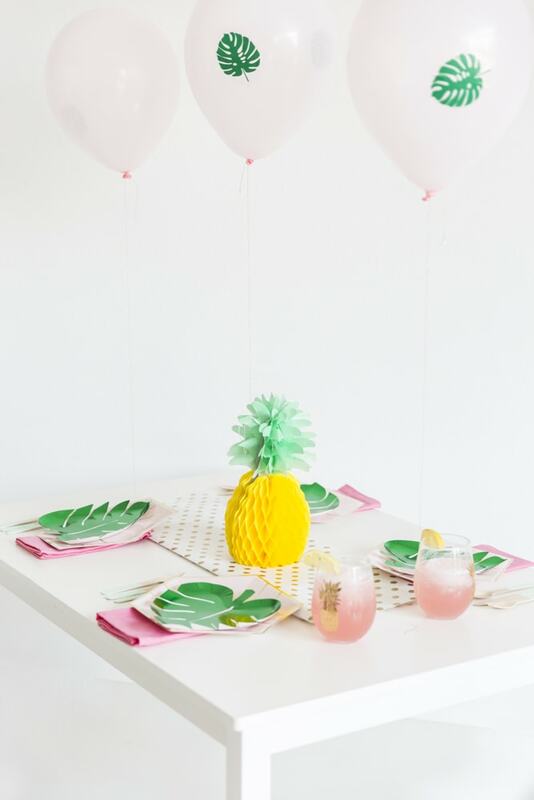 Last month, I shared our Pink Tiki Bar Cart– SO fun! 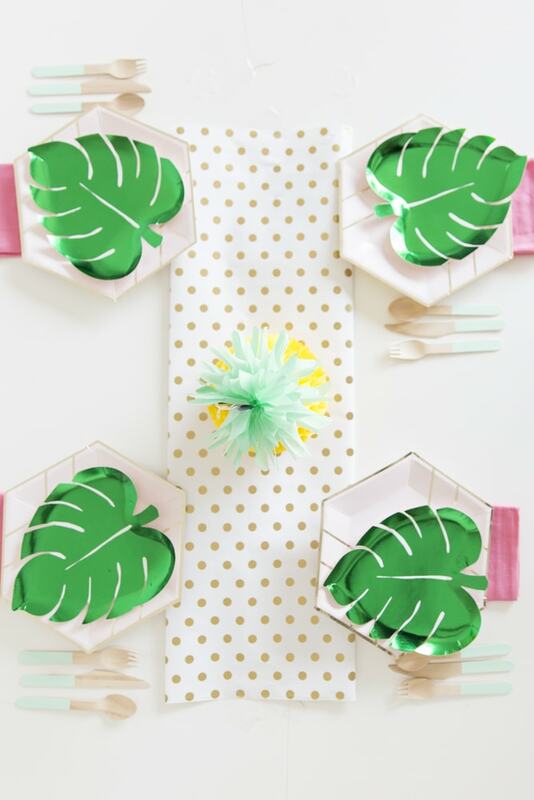 Today I am so excited to be back sharing with you the kid inspired tropical tablescape I put together last week! I am a little sad to realize this is our last summer themed post until 2018! We’re already officially working on pumpkin and fall related content that I can hardly wait to share with you! We just did a shoot last week for a post and video we’re working on for Better Homes & Gardens, and I am squirming because I hate not being able to share it right this second. All in one shot includes some of my favorite entertaining accessories that I have been holding on to in my prop closet for a rainy day! Anyone else do that?! 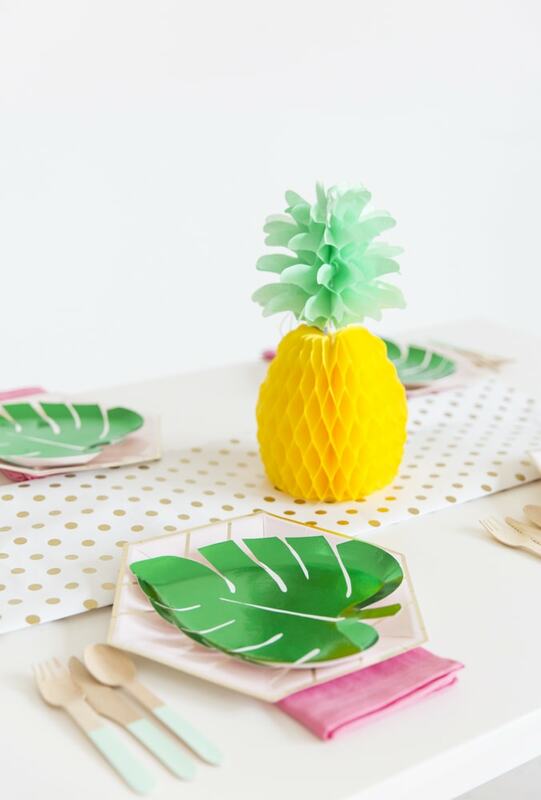 ;) Click to find these palm leaf plates, pastel blue painted wooden spoons, pink & gold octagon plates, and the pineapple tissue center piece! 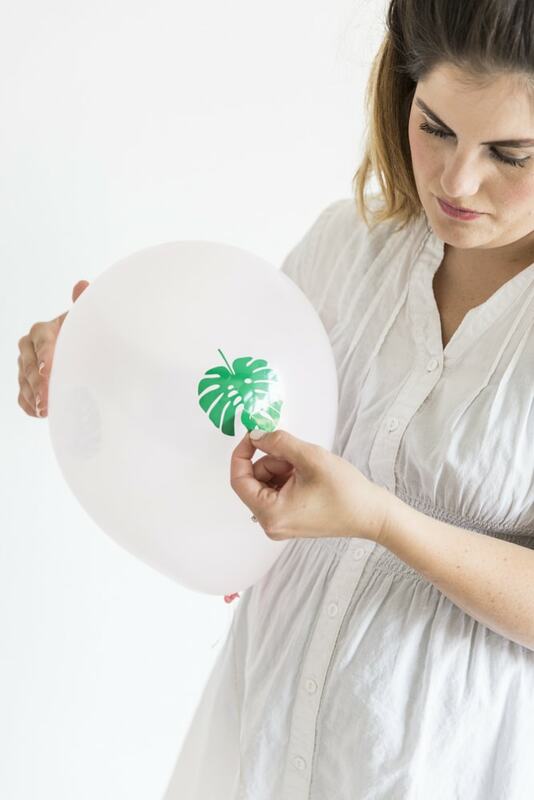 As I mentioned earlier this week, I have been so inspired and in-love with these palm leaf balloons from Studio DIY! I have been itching to add this concept into a post. 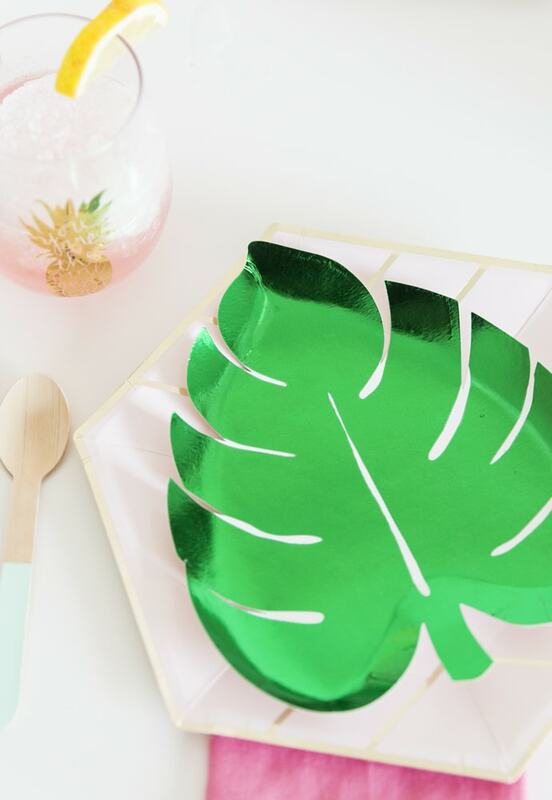 I was so excited to realize that my Silhouette machine offered a palm leaf cut-out, so I went for it! Love how easy these turned out to be! 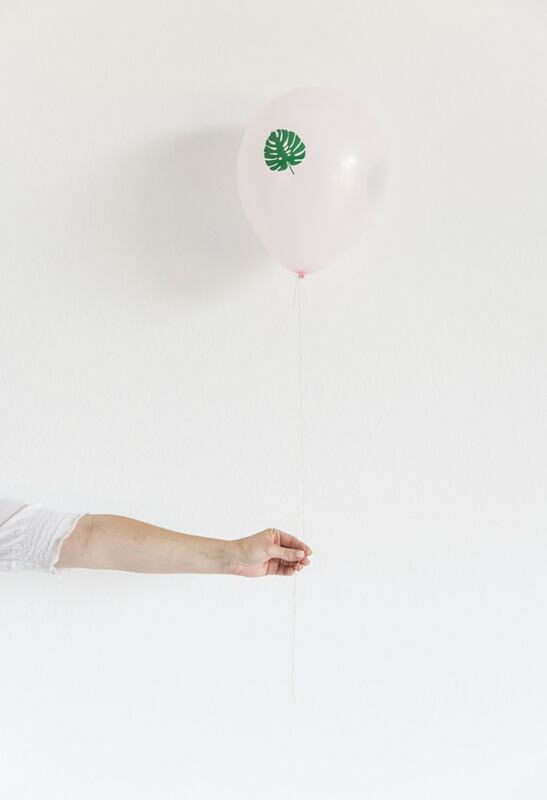 For even more tropical balloons, you must check out her post I referenced to above. One of my all-time favorites! What was your favorite summer themed bash? Anyone else shocked that we’re ALREADY running into fall? ME TOO!